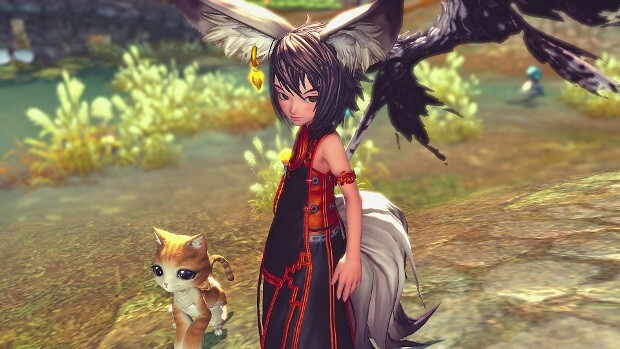 Today, Blade and Soul producer Jonathan Lien posted the July producer’s letter, offering a look back at the last six months as well as some insight into what players can expect of the future. Most of the letter is a rewind, but there are some things of note regarding upcoming updates. Lien mentions two updates in particular. The first, titled Fortune Falls, will offer players a new event dungeon with a swimsuit set reward and valuable upgrade materials. The second, Dark Origins, will introduce two new high level raids, continue the game’s story line, add a new dungeon, and more. This second update will hit in August. In the meantime, the developer is also working on consolidating servers — both NA and EU — in order to give players a better chance at putting together raids. The server mergers will result in all North American players being transferred to one of two servers — Yura and Zulia. European players will have three servers — Jinsoyun, Eisenherz, and Naksun. Details on the merger will be available in the next few days. Server merges only happen in games when they start to die. You see it happen all of the time in browser games. Surprised to see it in B&S, though. Especially given how much raving about it you see. Can’t be all that good, if people are deserting the game. Personally, I didn’t enjoy it. Combat was okay, I guess. But the vast amount of Instances areas became a little annoying after a while (just prefer massive open worlds, with as few transitions as possible). Put it down a long time ago and just never thought about returning.